For years, television exposure has been used as a selling point in recruiting high school athletes to college athletic programs — and now colleges are upping their game even more with high-tech video display technology to help capture and promote their message. Leveraging its experience working with major broadcast networks, Primeview has positioned itself to provide video display solutions for the whole campus, ranging from a unique “wall of fame” feature to complete television studios that capture the weekly action from the football field. 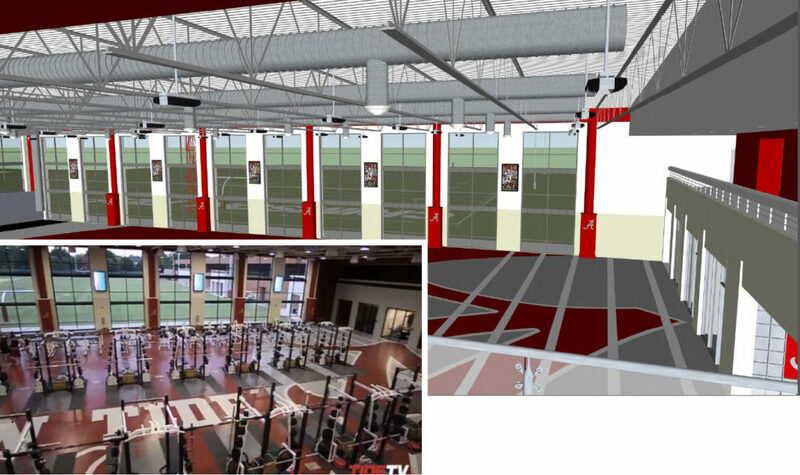 Years ago, the trend was to use weight rooms as recruiting tools, and display technology has found its way into these state-of-the-art facilities, such as the University of Alabama weight room Primeview outfitted with multiple LED video panels. 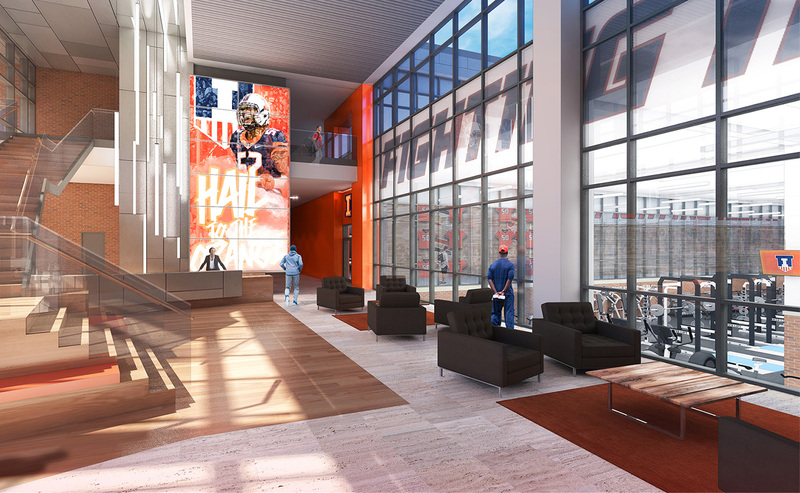 Video panels are also prominently featured in a proposed University of Illinois weight room slated to open in 2019. 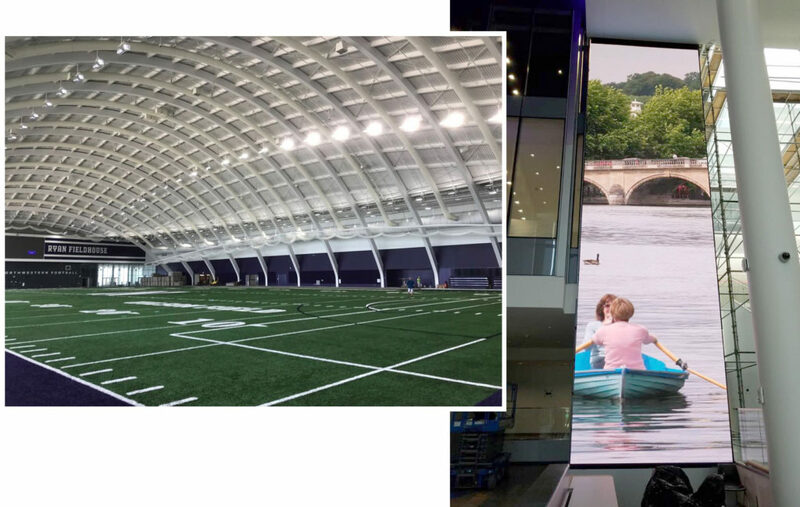 Technology and video arrays are also emerging as a new and flexible way to recognize donors and supporters of both college athletics and academics, such Northwestern University’s donor wall that Primeview engineered and commissioned. Colleges are also investing in updated “draft rooms” that can also function as professionally equipped broadcast facilities, setups that build upon Primeview’s experience installing LED video walls in television studios around the world. Beyond the behind-the-scenes aspects of college athletics, college sports facilities are seeing an influx of digital video panel installations ranging from “big board” displays to uniquely shaped video ribbons and smaller, single-panel applications. Primeview display solutions are also ideal for digital signage throughout college campuses, ranging from dynamic scheduling and wayfinding applications to professional-grade menu boards. Video solutions can also be installed in interactive multimedia classrooms as well as fully equipped TV studios that double as learning environments for students. For larger-scale installations, such as college and professional sports facilities, Primeview’s recent partnership with Ross Video’s XPression Tessera has given content creators a new level of flexibility and reliability in feeding video panels. This new multi-display real-time graphics designer and controller is targeted at both sports venues and studio video walls but also has a wide variety of other applications. The system is ideal for sports scoreboards, ribbon boards and a myriad of other configurations. XPression Tessera also features the ability to scale resolution quickly and easily by adding additional XPression engines, or “Tessera nodes” as they are known. This allows video displays to be expanded over time as needs change or budgets allow while still retaining the familiar core video control system. XPression Tessera has been carefully engineered to facilitate highly frame-accurate, non-tearing recall of any multimedia resources on any part of the screen thanks to Multi-Engine Sync technology. XPression also boasts unlimited scene layering that is preserved across every nodefor an added level of depth to animations and transitions. The region manager, meanwhile, gives video panel operators the ability to split scenes into regions and assign those regions to exact nodes. The XPression Tessera Node Manager intelligently controls the XPression engines and channels used as render nodes. XPression Project Server also comes with automatic one-click publishing of scene updates. 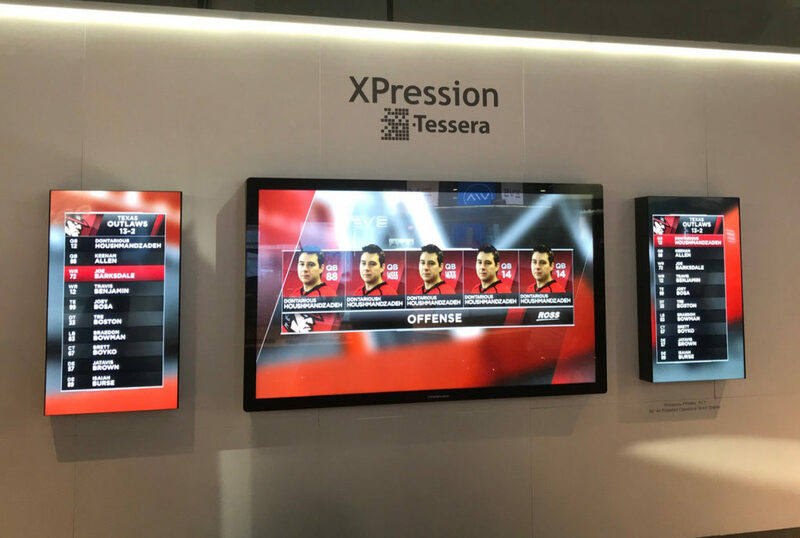 Primeview and Ross demonstrated XPression Tessera’s seamless interactive analytics that utilizes consistent playback controls and color uniformity at NAB Show 2018 in Las Vegas. The companies will also demonstrate this new offering at the SVG College Sports Summit 2018 taking place at CNN’s Omni Center in Atlanta on Wednesday, May 30th – Friday, June 2nd. 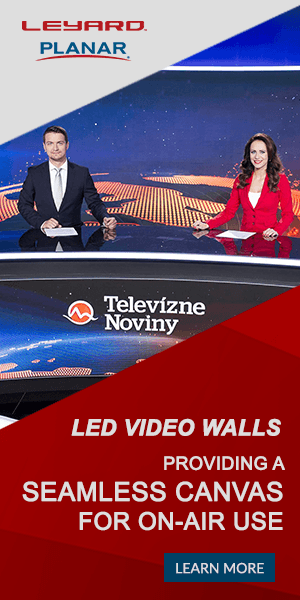 Primeview’s video panels are ideal for XPressio Tessera installations, given the company’s precision construction, quality hardware and wide variety of formats and resolutions. The company also provides direct design and professional commissioning services for its video wall projects.